Q. Can you get from Hampstead to the River Ganges via a London Stock Brick and back again in five moves? 1. Hampstead: Hampstead stands on one of the highest hills in London, its summit – a sandy ridge 443 feet above the sea-level – rests on a belt of sandy clay which protrudes at the edges and is underlain by water-resistant London Clay. Rainwater penetrates the sandy upper layers only to be forced out again by the impermeable lower London Clay, creating a landscape of rolling well-drained ‘upland’ heath (which easily dries out) and swampy hollows where feeder streams flow towards the hidden rivers of the Fleet and Westbourne which in turn pipe into the River Thames. 2. 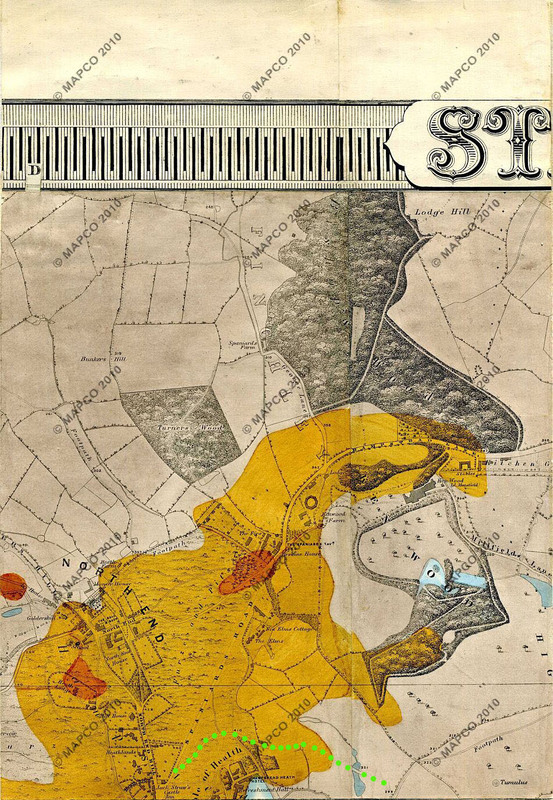 From Hampstead to the Claygate Beds: London Clay underlies most of the London area. It was deposited as mud on a marine shelf about 52 million years ago. It is thought to have been laid down under semi-tropical conditions similar to those in Malaysia and Indonesia today. As the London Clay basin filled up, the sediments became coarser and the alternating sands and clays near the top are known as the Claygate Beds. The Claygate Beds and Bagshot Beds are the uppermost geological formations of Eocene age (56 to 33.9 million years ago). 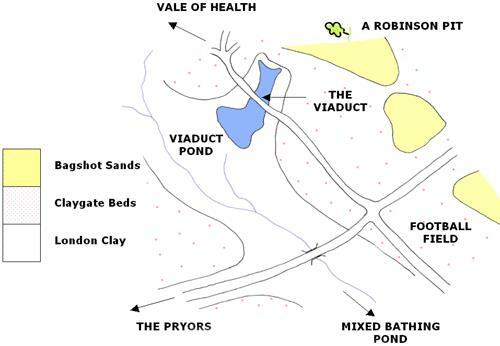 The Claygate Beds consist primarily of course silts and clays with sand, whilst the Bagshot Beds are predominantly finer grained sand. This is the hypothosised path that the Great Bagshot River probably followed about 50 million years ago. The river would have been a similar length to Ganges Rivers today. 4. From the Great Bagshot River to brick clamps: The silts and clays of the Claygate Beds together make an excellent blend of materials for brick-making. When fresh and unweathered, London Clay is rich in iron pyrites (sulfide) which changes to sulfate on exposure to air. Sulfate takes the form of crystals of gypsum (calcium sulfate) — liable to cause bricks to burst when they are fired in a kiln. On the Heath, the clay was dug by hand, and cut from terraces notching the hillside. It was then left exposed to the rain to flush out the gypsum. Finally it could be blended with the fine silts of the Claygate Beds, together with the ‘brick earth’ (wind blown silt from the top of the Heath). Many of the bricks were fired in very simple kilns. If the wind was in the East, the reek of sulfur smoke must have hung heavily over Hampstead. The product was a yellowish stock brick. 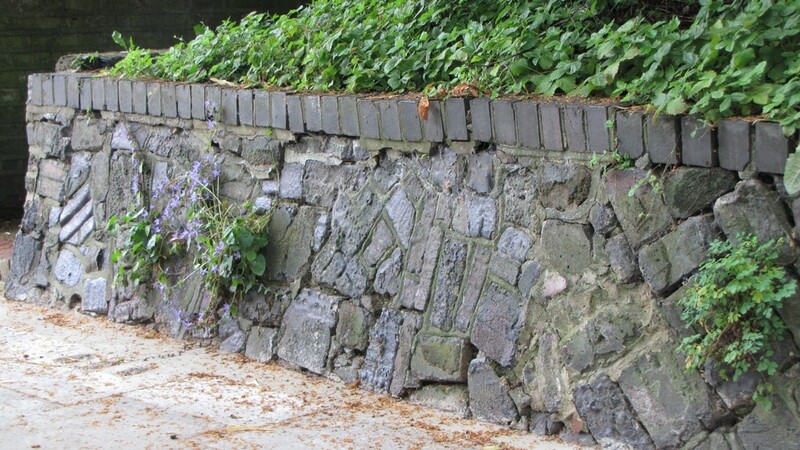 The outer bricks of the kiln often fused together to form distorted blocks with glazed surfaces which can be seen in garden walls throughout Hampstead. 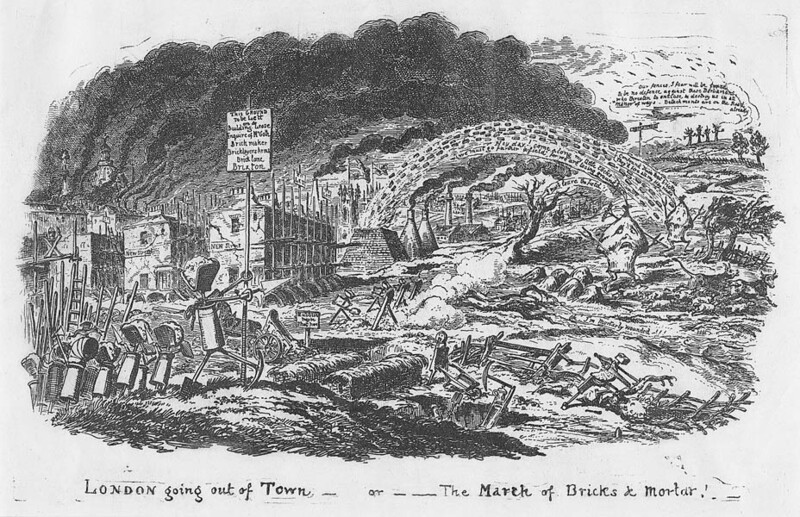 George Cruikshank in his 1829 sketch ‘London Going Out of Town or The March of Bricks and Mortar’ in which a band of robotic tool-men march on London’s rural outposts, a surge of brick terraces springing up in their wake. The dome of St Paul’s peeks out from behind a barrage of new houses, while a volcanic kiln spews bricks onto hapless trees and haystacks. The pond beneath the Viaduct was partly created from the hole excavated for a brick pit in 1860s-1880s. The Viaduct itself wasn’t built to span the pond, there was no pond, just a marshy hollow through which ran a piddling small tributary supplying the Hampstead branch of the River Fleet. 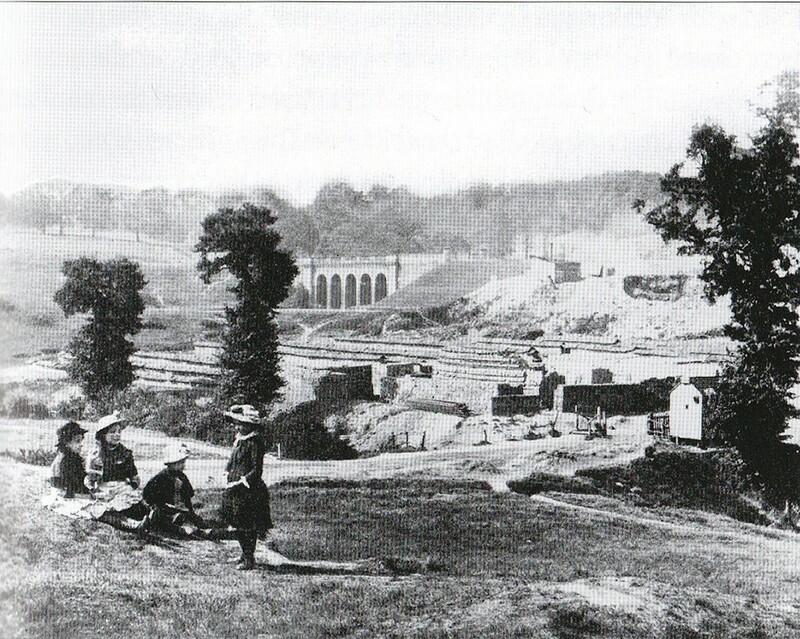 Much more the Viaduct was a symbol of the beginning of Sir Thomas Maryon Wilson’s proposed development at the top of the Heath. Happily he was prevented from continuing with his project so instead he laid railway tracks on the road from South End Green and used these to exploit the exposed Claygate Beds for brick making. 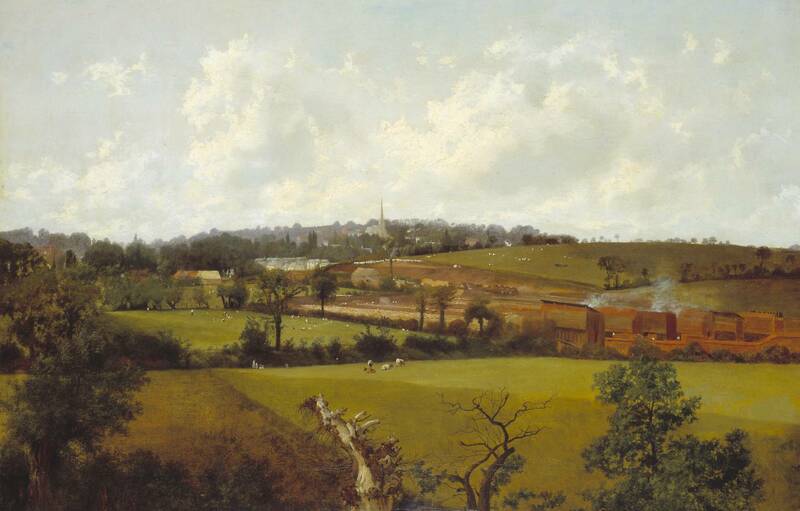 Between 1866 and the end of the century, there was an extensive brickfield on the West side of the Heath, stretching from The Viaduct down the valley of the Hampstead Ponds. 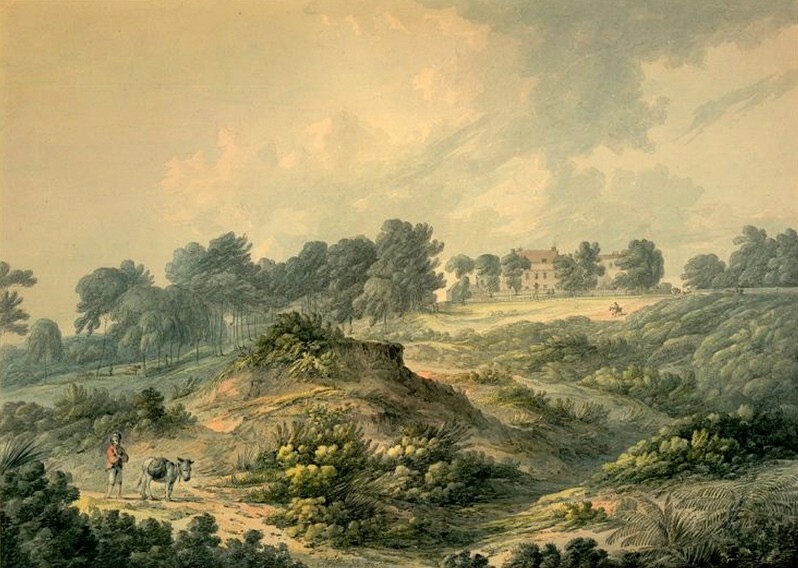 It was an despoiling enterprise generated by a thwarted Sir Thomas Maryon Wilson allowing John Culverhouse, a local builder, to make the bricks needed for the extended terraces of the expanding village of Hampstead.